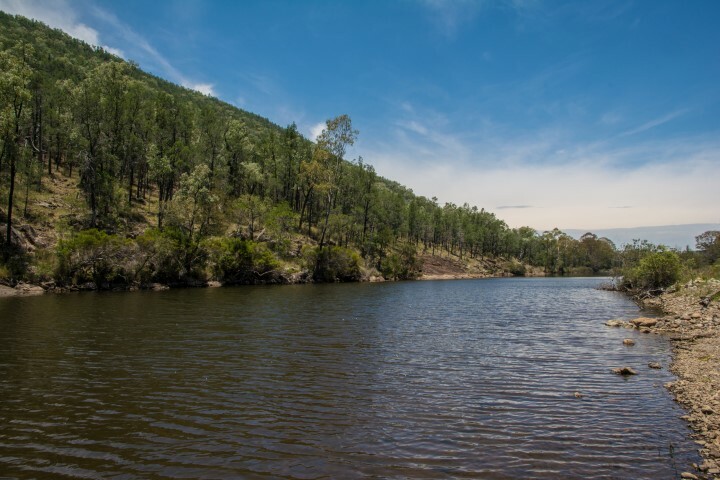 Today we were headed from Goondi back across the border to Tenterfield. 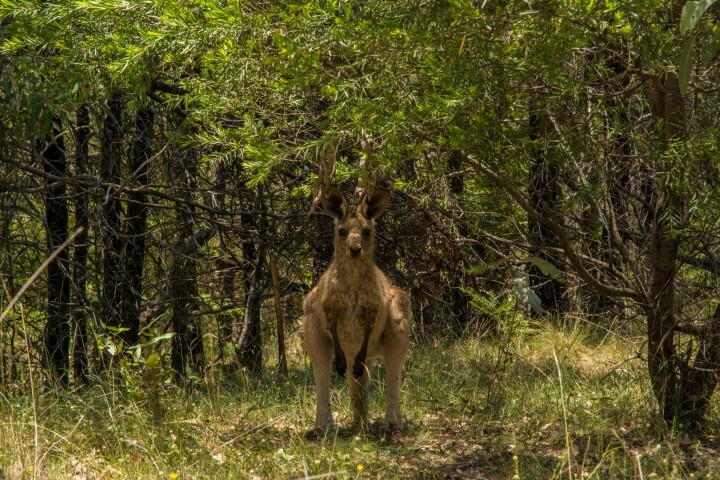 We took a few back roads as the trip is pretty short and stopped at Sundown National Park, which has a nice little camp area (tent only) along the Severn River and has a permanent water hole. The river was still flowing nicely and we had a bit of wander around before stopping to snap a few pics of the locals – the hopping variety. Arriving in Tenterfield we had a bit to eat and checked in, got the weather report as the clouds had started to come over a little bit and we had hoped to climb Bald Rock that afternoon. Weather report all good we headed out to Bald Rock and made the very steep heart pumping climb up the bald face rock of Bald Rock (funnily enough). 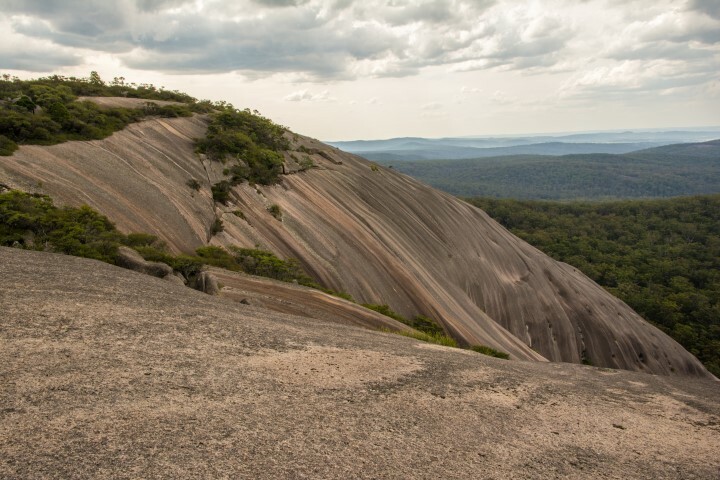 Bald Rock is apparently the largest granite exposed rock in Australia. 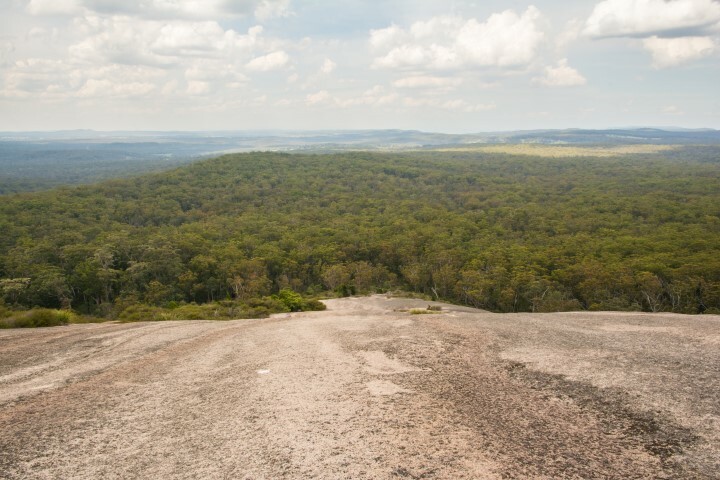 The dome is 750m long, 500m wide and from the top you are 1277m above sea level. There are two tracks to the top the easier way and the hard way – you either go around or straight up. 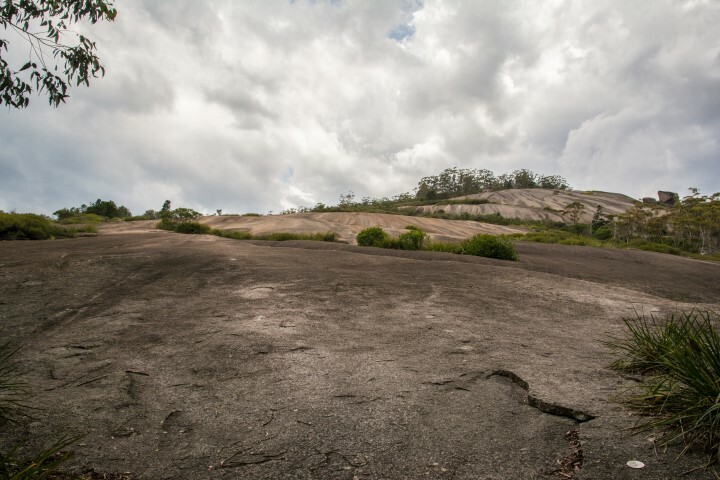 We decided to go straight up about 700+m 30deg vertical ascent on the bald rock, no chains no ropes just straight up! It’s a bloody hard walk and each time you look up you keep thinking we must be there but nope still a few more white dots to follow just yet, and turning around if you aren’t keen on heights is a definite no no! The view is pretty spectacular though. We made it to the top – possibly missing a lung or part thereof and then continued across the top to the summit marker. We took the easier route down as I wasn’t keen on the steep descent straight down the rock face – we were a long way from anything (and phone signal) one mis-step would have you on your backside and at the bottom of the rock pretty darn quickly I reckon. The walk down was pretty cool as you navigate your way through little tunnels where the rocks of split or fallen and the path now winds through them. 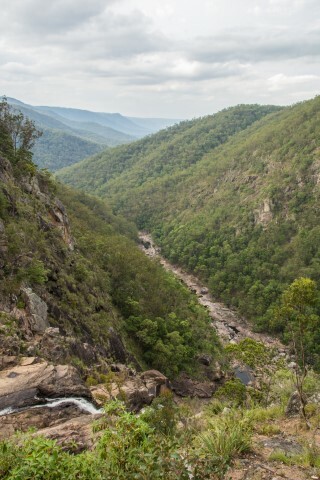 From bald rock we headed to Boonoo Boonoo National Park to see Boonoo Boonoo Falls. I was quite surprised at the amount of water coming over the falls as well as the size of the canyon that they fall away into. 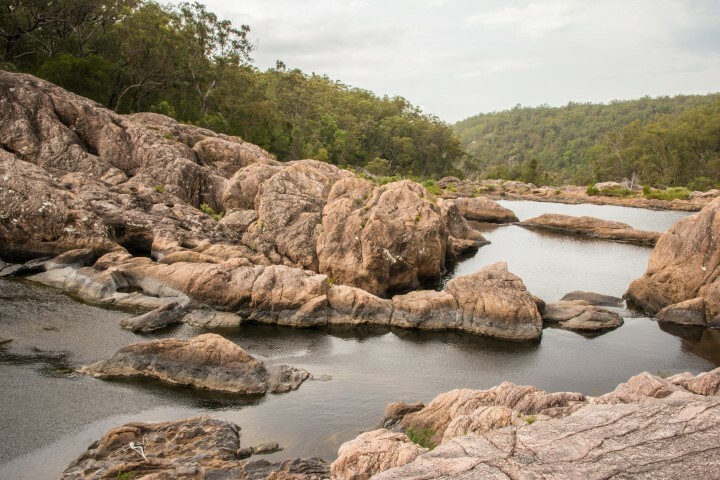 The Boonoo Boonoo River settles into a cascading chain of pools before plunging 210 metres over a gorge into the canyon/valley below. We scrambled around the rockpools for a little while and checked out the lookout before it was time to hit the road and back to town so that we didn’t have to avoid too many little hoppys along that way as dusk was settling in. All was very quite in the little town of Tenterfield when we arrived back so we opted for a cook our meal, a few beers and carols by candlelight on the TV for our Xmas eve. Tonight is the last nite of our little road adventure, tomorrow we head over the range to Lismore/tweed to spend xmas and a few days with my family.